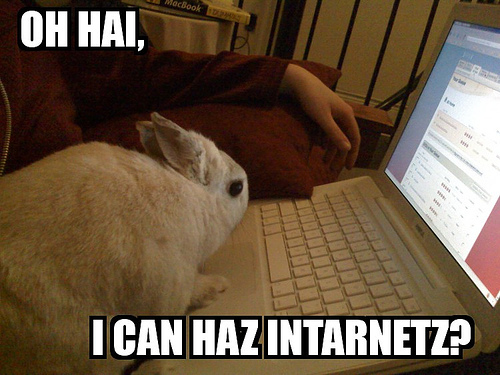 We’ve been busy surfing the internet, searching all over the world for rabbits with home pages. In addition to this page of homepages, we’ve also begun a memorial page with links to those rabbits who sadly, have passed on. If your house rabbit has a home page and you’d like it added to our list of links, send us some mail. Also, check out all of the rabbit blogs on our Blogs page! Please also visit Bunspace,where thousands of rabbits now keep their own homepages! Don’t forget to check out all of the rabbit blogs on our Blogs page! Please also visit Bunspace,where thousands of rabbits now keep their own homepages!